Ever wanted to learn to be funny? 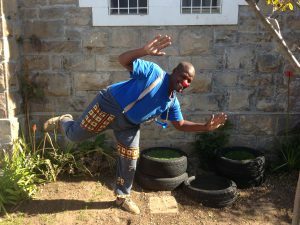 Clowns Without Borders South Africa (CWBSA) are looking for a range of KwaZulu-Natal and Johannesburg based artists wanting to develop their clowning skills and social upliftment engagement through an intensive 3 day workshop in each location. The workshops, generously subsidised by the National Lotteries Commision, will be led by our Artistic Director, Jayne Batzofin. Having 7 years of experience developing her clowning pedagogy, ranging from the circus, to theatrical, to hospital clowns; Jayne loves these intensive play sessions. The workshops will cover the basics of theatrical clowning as well as the methodology behind the work of Clowns without Borders South Africa. No previous clowning experience is required, however participants must have an invested interest in a performance field e.g. : music, singing, dancing, circus, acting, and storytelling. At the end of the workshops, all participants will be placed onto the CWBSA Artist database, and can be called on for future tours. Bookings will be required, as space is limited. Bursaries to cover workshop cost and local transport (public transport within 100km’s of the city centre the workshop is taking place in) are available upon request in your e-mail. Please specify whether you are booking for a clowning workshop in Durban or Johannesburg.